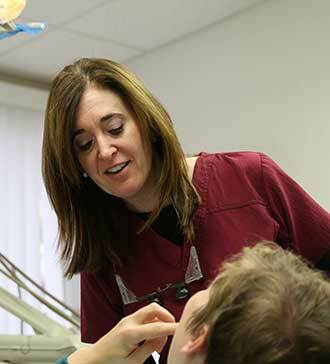 Dr. Lazowski has been practicing restorative and preventative dentistry in the Boston area since 1995. She is a member of numerous professional organizations, including the American Dental Association, the Massachusetts Dental Society and Omicron Kappa Upsiion, the National Dental Honor Society. Dr. Lazowski has specialized training in Invisalign (invisible braces) and has been a certified provider since 2006. She is a graduate of New York University College of Dentistry, where she graduated the top student of class, receiving numerous awards and honors. Dr. Lazowski completed general practice residency at Brigham and Women’s Hospital and received a Masters in Public Health from Harvard University.